I’ve been a little tardy at utilising my blog to discuss the issues that I meet in a weekly basis in my role as Deputy Chairman of the Otago Peninsula Community Board. I could blame distractions like family or work but largely its been a lapse in literary concentration. So with new resolve I’m going to make a better effort to write more about my observations of life on the Otago Peninsula. 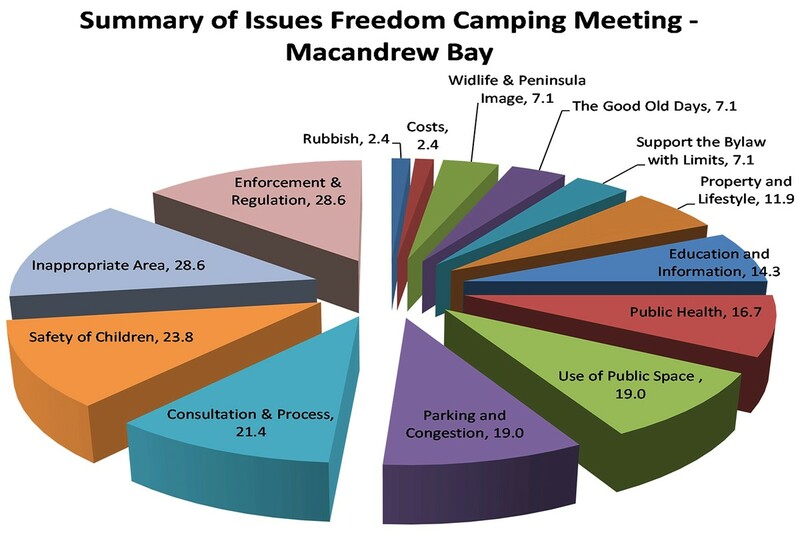 Freedom camping has been the hot topic in the Macandrew Bay community and the Peninsula with the initiation of a two-year trial accompanying the change in the Dunedin City Council’s Bylaw. The trial site at Macandrew Bay with its limitation of 5 vehicles has clearly been oversubscribed and placed considerable pressure on parking, toilet facilities, accessibility and community use of the playground. 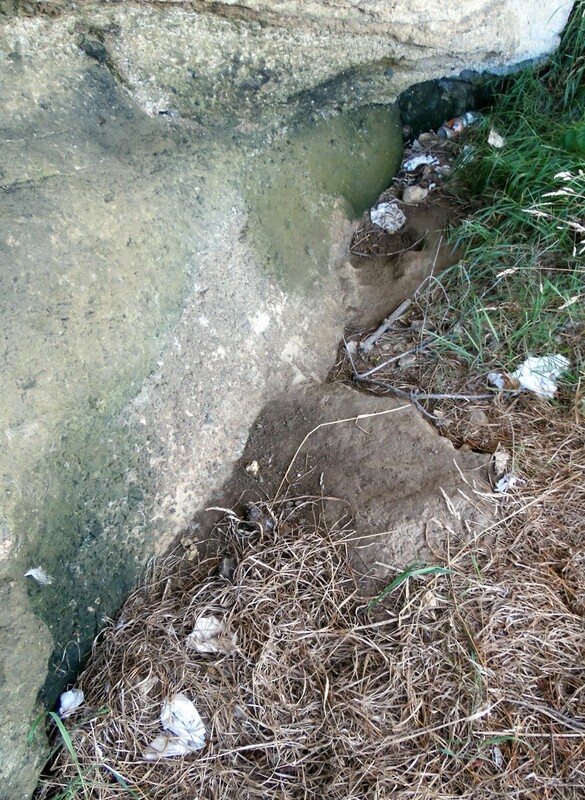 Other deeper issues have arisen including anxiety about the safety of children, the consultation process for the Bylaw, public health, inappropriate behaviour and negative effects on lifestyle including the alienation of the community in their own neighbourhood. Those feelings were evident at the public meeting I attended on March 2nd at the Macandrew Bay Hall where 42 people out of an audience of around 100 residents spoke eloquently and passionately about the issue. My own collection of data from Macandrew Bay over the last 21 days has revealed 274 vehicles have used the site and only on 3 occasions has the limit of 5 vehicles contained within the Bylaw been achieved. If you consider that most camping vehicles have at least 2 people aboard that’s 548 people who have used this area and clearly that places a strain on existing facilities and infrastructure. In general people on the Peninsula welcome visitors, but there is a growing frustration in the community that the effects of freedom camping may actually outweigh the benefits. Importantly too, the community must feel that there is the support of the City Council to enforce and educate visitors on the bylaw to ensure that residents are able to retain their lifestyle and values in a community that they love, but are willing to share. I took the time to summarise the views of all of the speakers at the public meeting into some key categories and this is presented in the graph below. The meeting gave me a very clear direction from the community as to the problems and issues the community were facing. One of the lower ranking issues, but one of considerable concern was the facilitating of the illegal trade in flora and fauna through opening up of the Peninsula through freedom camping. In 2011-2012 wildlife smugglers used campervans as bases for the poaching of Jewelled Gecko’s from sites on Otago and Bank’s Peninsula. I was pleased to see a number of speakers and residents also attend the Board’s last meeting and speak at the public forum. The Board resolved to ask the Council to abandon the trial by Easter this year and seek alternative sites. However, its my personal view that the entire Bylaw and the current legislation the Freedom Camping Act 2011 needs significant review and change. I’d like to see the Dunedin City Council and other local authorities lobby the government to improve the legislation around regulation and management for the benefit of communities. 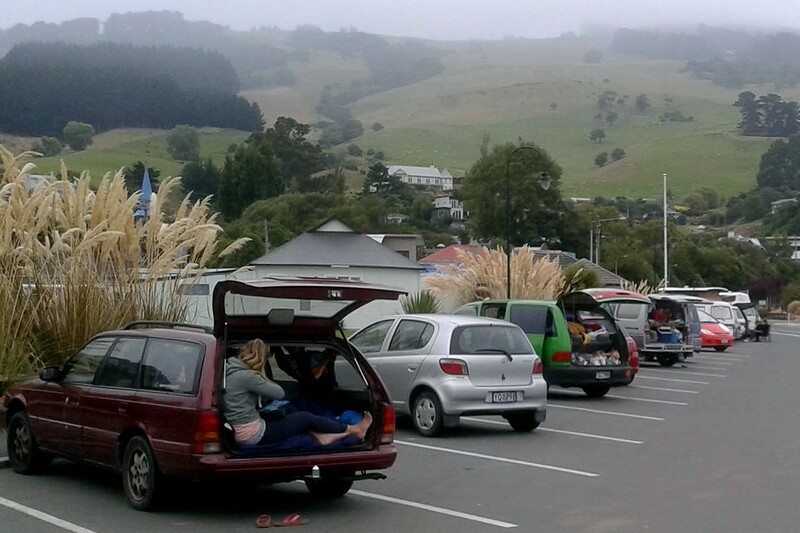 While its been suggested that “DoC” style freedom camping area be developed on the Otago Peninsula, I think a more strategic view is required here that deals with the effects of freedom camping on a city-wide basis within all of the community’s affected by this activity. That also requires a greater level of research and information that can be used to determine better regulatory and economic outcomes for the community. I look forward to hearing from the community on this issue so that those outcomes can be achieved. This entry was posted in Dunedin, Local Issues, Otago Harbour, Otago Peninsula, Otago Peninsula Community Board, Paul Pope and tagged Backpackers, Bylaw, Enforcement, Freedom Camping, MacAndrew Bay, Non-Self Contained Vehicles, Otago Peninsula, Otago Peninsula Community Board, Self Contained Vehicles, Tourism, Van-packers, Widlife poaching on March 12, 2014 by Paul on the Peninsula.